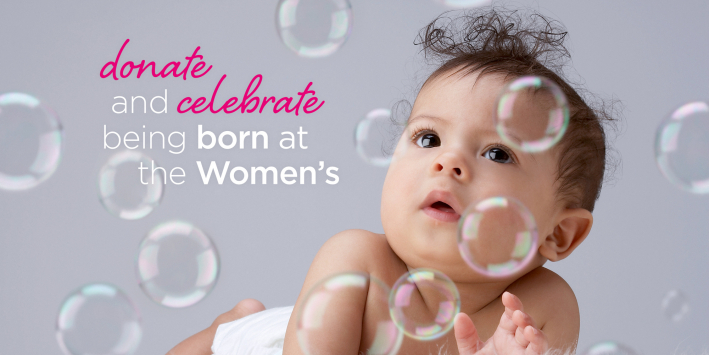 Your baby’s celebration bubble will be added to our Born at the Women’s Celebration Wall, in the main foyer of the hospital here in Parkville. By celebrating your baby’s birth in this way you will help raise much needed funds for the Women’s Foundation to support the vital work of the Women’s, Australia’s first and largest specialist hospital for women and newborn babies. Your donation to the Women’s Foundation today will help deliver advancements in health research, technology, programs and equipment for women and newborns.